As the cruise industry continues to grow with leaps and bounds, some of the old cruising myths, misunderstandings, and urban legends about ship vacations just won’t seem to die. Contrary to naysayers, cruising remains one of the safest ways to take a vacation. Millions of passengers take cruises each year without incident. The facts are in the numbers, you have a better chance of winning the lottery than dying from a cruise related injury (statistically speaking). This is one of the biggest misconceptions among those who have never taken a cruise. But truth be told, many first time cruisers do have this concern at first and select a cruise that has a port stop every single day so they won’t be “bored” all day on a cruise ship. However, they quickly found out how wrong that is and discover how much there really is to do right on the ship. The great thing about a cruise is that you have so many options to choose from each day that you will often have a hard time squeezing everything in. However, some choose to do nothing all day except kick back and relax. The choice is yours and you will have more than a fair share of options to choose from. This old myth about cruising definitely does not apply today. Cruise lines are gearing more of the ships and activities towards families than ever before. 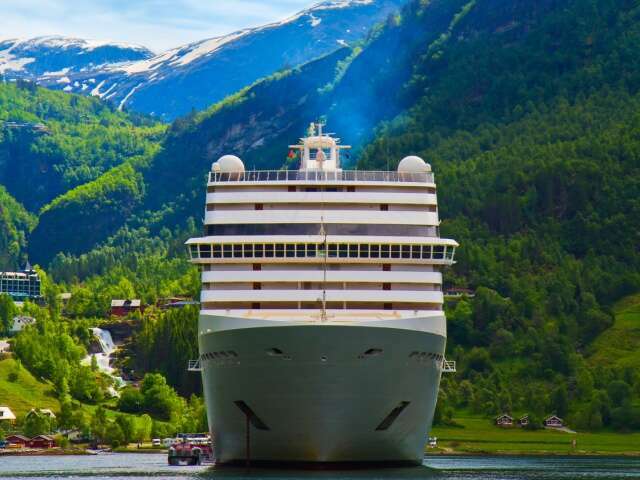 This is evident with the water slides, rock climbing walls, children’s themed areas, ropes courses, and now even go kart tracks being added to cruise ships. A cruise is geared for those of all ages and there is something for everyone. 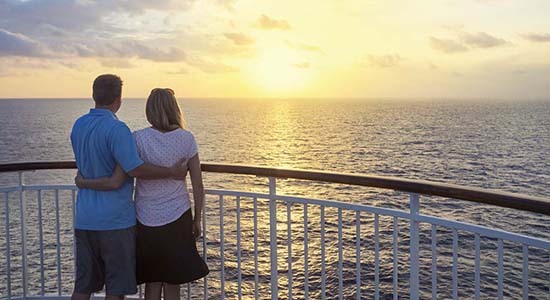 It is important to note that some cruise lines and ships are geared toward older passengers and others to younger passengers. This is where a travel agent can be beneficial in choosing the right cruise line and ship for you. However on nearly every cruise, you will find passengers ranging from toddlers to those who are in their 80’s enjoying retirement. Crunch the numbers for yourself, what is the daily cost of a vacation (think about food, drinks, activities and anything else you plan to do or purchase). Most cruises on the major cruise lines are priced between $50-$150 per day per person. Cruises to the Bahamas are often priced less than $40 per day per person. Search our latest cruise deals and see for yourself. Thanks to the news media calling norovirus the “cruise ship sickness”, there is a common misconception that if you take a cruise, you will get sick. The two most common worries are norovirus and seasickness. Norovirus tends to spread quickly in areas where there are numerous people in a confined space. This can be in schools, hospitals, dorm rooms, and cruise ships. The only reason you hear about norovirus outbreaks on cruise ships is because cruise lines have to report to the CDC when 3% of the passengers come down with the illness. Schools, hospitals, college dormitories etc. do not have to report outbreaks which means you never hear about them, although they have far more outbreaks than cruise ships. All ships built in the last several years have stabilizers that help limit rocking to keep the ship as stable as possible. The stabilizers along with the sheer size of modern ships keep seasickness to a minimum. Those who are most prone to motion sickness can wear an acupressure ban/seasickness patch, or take Dramamine or Bonine. However for the majority of passengers, the fear of getting seasick on a cruise will quickly subside. Especially when sailing in the calm waters of the Caribbean, the cruise ships are so smooth that you will often forget that you are on a ship. If you have any concerns about cruising we encourage you to talk to one of our travel specialists, they can help put your mind at ease and find the perfect vacation to suit you.